We have a new Overview to share with you today! As part of CCA's commitment to providing resources for families affected by facial differences, CCA publishes several "One-Sheet Overviews" each year. Our newest overview is a little longer than "one sheet," but we think you'll find it very informative! 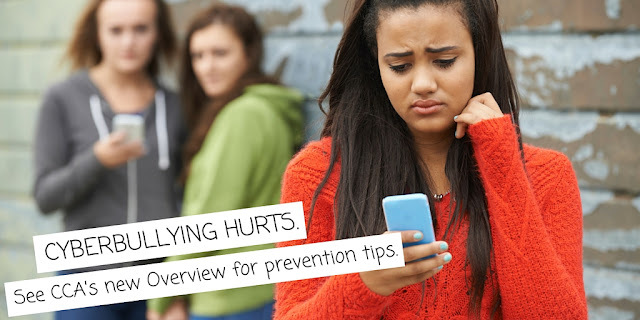 Thanks to Dr. Earl Gage at Kids Plastic Surgery in St. Louis, we are able to share this overview and resource guide on Cyberbullying for Parents, Teachers, and Students with our families and communities. Currently, this overview is available here on the blog and Google Drive and it will soon be available on our website, too.